Dr. Ariss Derhovanessian graduated the medical school from the David Geffen School of Medicine and completed both his residency and fellowship program at the UCLA Medical Center. He is specialized in pulmonology and board certified in critical care medicine, internal medicine, and pulmonary disease. 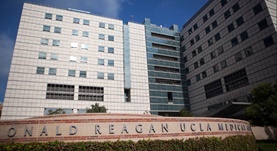 Dr. Derhovanessian has been in practice for more than 11 years and is affiliated with the Ronald Reagan UCLA Medical Center. During his career, he has also contributed to several publications of medical interest. Dr. Ariss Derhovanessian has contributed to 3 publications.